Early next year, scientists hope to gain insight into conditions that precede planet birth by deploying a powerful new instrument: the Keck Interferometer. 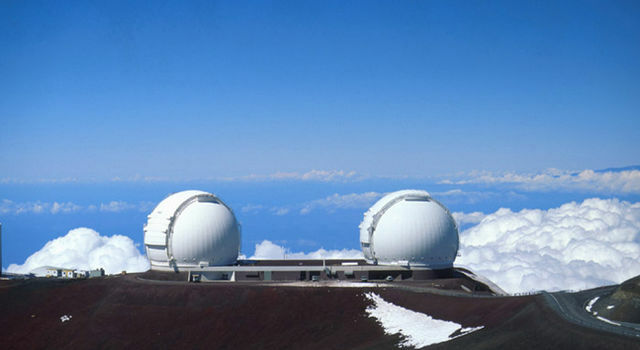 The twin Keck telescopes, situated at 4,150 meters (13,600 feet) above sea level, atop Mauna Kea on the "Big Island" of Hawaii, are the world's largest telescopes for optical and near-infrared astronomy. JPL is collaborating with the California Association for Research in Astronomy to link the two telescopes together as a single instrument. By combining starlight from each telescope in a technique known as interferometry, the Keck can provide measurements that will be a quantum leap beyond what is possible with a single telescope. Dr. Rachel Akeson, a staff scientist at Caltech's Interferometry Science Center, will be among the first to look through this new window on the universe. 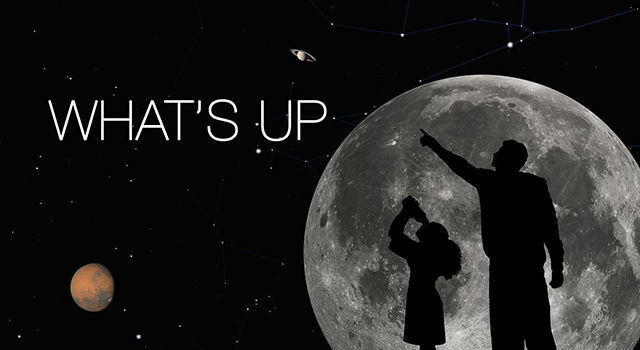 She is part of a JPL team that was recently selected, along with other teams from the science community throughout the United States, to investigate the evolution of stars and planets using the Keck Interferometer. 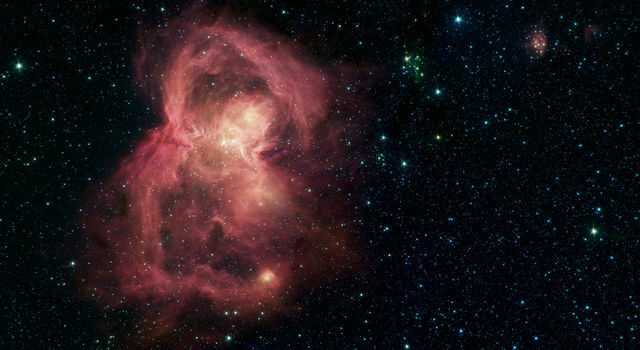 The JPL team will focus on T Tauri stars, which are thought to resemble the Sun at a formative stage. A peek into the center of the disks of gas and dust that surround them will help scientists understand how planets like Earth and Jupiter could eventually form out of raw material. "We already have strong evidence that these stars have disks," Akeson said. "For the first time, given the sensitivity of the Keck Interferometer, we can actually look at the inner sections of the disks around these stars." According to the standard model of solar system formation, stars and planets begin as rotating clouds of gas and dust that roam our galaxy. Eventually, gravity causes a cloud to collapse. As the material decreases in size, it begins to spin faster and flatten into a disk because of the conservation of angular momentum. The same principle is demonstrated by a figure skater who draws her arms inward to spin faster. 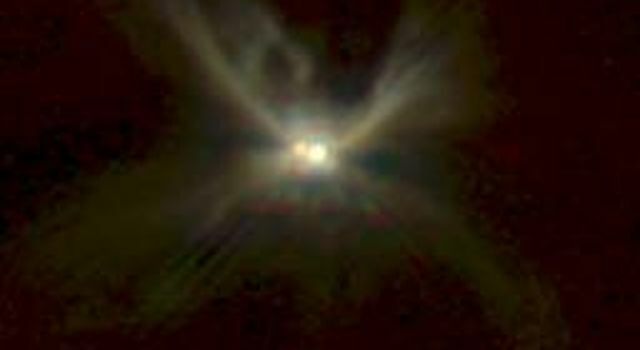 Material is slowly drawn into the center of the disk, forming a new star. While the star continues to grow, lumps form in the remainder of the disk, which will ultimately become planets. 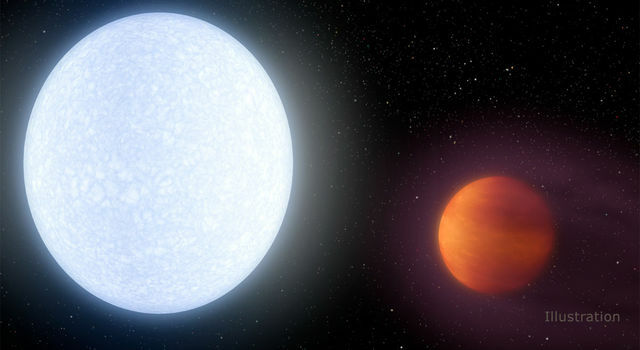 The type of planet that forms depends on temperature conditions and the quantity of matter available. 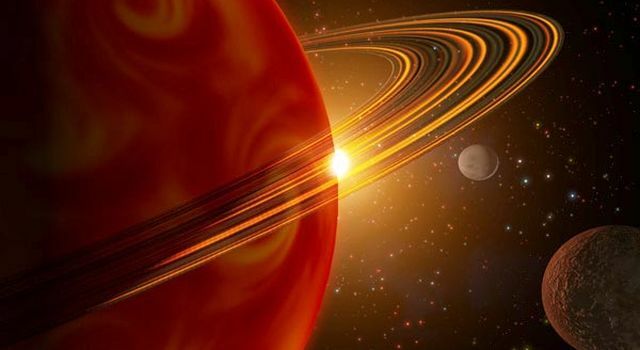 In the case of our solar system, there was just enough material left over at the right temperature to form rocky planets like Earth, Mars and Venus within 250 million kilometers (155 million miles) of the Sun. Farther out, where temperatures were cooler and more material was available, gas giants like Jupiter formed. Since 1995, scientists have discovered more than 70 new planets and planetary systems, but most don't resemble our solar system. Instead, scientists have been surprised to find gas giants orbiting very close to their host stars. If the standard model is correct in predicting that giant planets form at greater distances, some of these planets must have migrated inward. The JPL team will concentrate on the young, Sun-like stars in the Taurus molecular cloud, a hotbed of stellar formation 450 light years away. The Keck Interferometer will be able to observe all such sources within the cloud, thus shedding light on how frequently conditions are right for the creation of Earth-like planets. 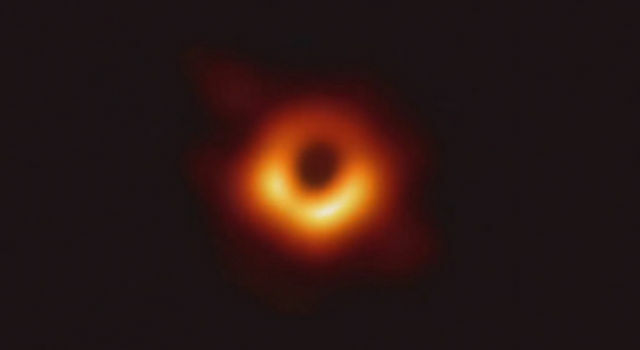 The initial data returned by the Keck Interferometer will be in the form of graphs, bar charts and numeric data -- hardly the stuff of pretty pictures. 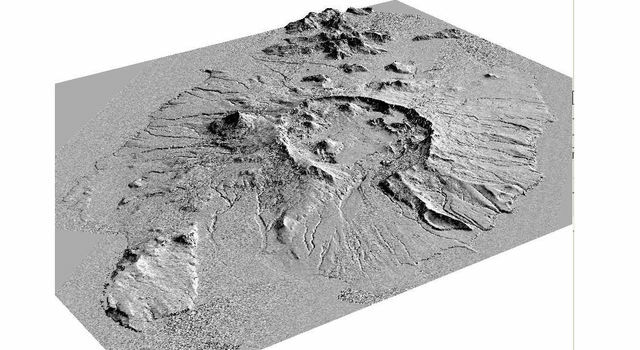 But such data can be as revealing to scientists as any high-resolution image. "It's exciting," Akeson said. "None of these stars has been studied at this resolution before." Akeson acknowledges that the road to finding out our cosmic origins is a long one, and for the time being, questions outnumber answers. But like many of her colleagues, an insatiable sense of curiosity keeps her moving forward. "I just find it interesting that we have these grand questions that we won't be able to answer right away," Akeson said. "But here are these little pieces, and eventually we'll be able to put them all together." The other teams from the science community who will perform the first investigations using the Keck Interferometer will focus on disks around other stars and galactic nuclei. The Keck Interferometer is managed by JPL for NASA's Office of Space Science, Washington, D.C. JPL is a division of the California Institute of Technology in Pasadena. The W.M. Keck Observatory is funded by Caltech, the University of California and NASA, and is managed by the California Association for Research in Astronomy, Kamuela, Hawaii.